The story so far: former Box Tops singer Alex Chilton travels back to his hometown of Memphis after unsuccessfully giving being a solo musician in New York a try. He gets together with a few bandmates, and they all end up releasing one of the great unsung pop masterpieces of all time: #1 Record. The creative tension between the mercurial genius Chilton and melodic perfectionist Chris Bell is largely to credit for the album's (critical) success. Unfortunately, unlike Lennon and McCartney, who were able to sustain this tension and feed off each other for years, it got to be too much. Bell left the band once #1 Record was released, leaving Chilton on his own to front Big Star. Bell left his beautiful imprint on Big Star's sound, and it's sad to ponder for a bit what could have been. But as it turns out, Chilton and the rest of Big Star could do just fine without that fourth member, thank you. Unrestrained by Bell's meticulous attention to detail, Radio City makes for a harder, rawer, looser, and more exhilarating ride. Its sparse production (the virtual antithesis of Spector's "wall of sound") reveals frequent holes of sound that presage punk by a few years; it sounds like a live album in spots. And it's just as successful as its predecessor. 1) "O My Soul" - The clarion call to get wild, get drunk, and kick up your heels, and the perfect way to start this album. Loose as loose can be, but funky...and that rhythm section is unstoppable. 2) "What's Going Ahn" - Chilton's penchant for weird song titles continues here in this achingly sad tune. "I like love, but I don't know/All these girls, they come and go," he moans, resigned to be unsuccessful at love. And the drums sound like they're ready to fall apart at any moment. The most despondent that Big Star ever got...well, until the next album, at least. 3) "Mod Lang" - Then they turn around and deliver this glamalicious number, with Chilton howling almost inaudibly in the background. Fun, fun stuff. 4) "She's A Mover" - Sounds like the best outtake from Revolver the Beatles never released. So Big Star picked it up, dusted it off, tambourine and all, and went to work. Not so much a song as a three minute-long relentless groove. 5) "September Gurls" - Yes, the one critics the world over adore. I first heard this one and couldn't get past the clanging guitars. But the song is still power-pop heaven, and the most straight-ahead song here. 6) "You Get What You Deserve" - Chilton's bitter side comes out hard here in a pretty little ditty that recalls CCR's "Have You Ever Seen The Rain." Ends on an ominous single piano note. And actually, that's something that really separates Chilton from so many other pop stars. He isn't afraid to express the negativity that permeates his psyche, and just about every song on Radio City has a dark edge to it. "Life is White" begins with the kiss-off: "Don't like to see your face/Don't like to hear you talk at all." (Apparently, that song was all about Chris Bell - kinda makes sense why he left, don't it?) Even the lightness of "September Gurls" is brought down by the line, "I loved you...well, never mind. I've been crying all the time." Ouch! Self-pity was never disguised so well or expressed so succinctly. So there you have it. Two of the greatest pop/rock albums ever released. And no one knew about it back in the early '70s. And now you can get them both on one CD. Do it. Now. 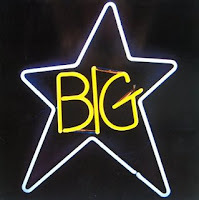 "It's safe to say there would have been no modern pop movement without Big Star." "Anyone not in possession of Big Star's three landmark studio albums...should stop reading this now and go purchase them." "Radio City and #1 Record brim over with punchy songs that served as the blueprint for almost every power pop band to follow, and the much darker Third/Sister Lovers is a depressive masterpiece." One of the group's founders and the resident genius, Alex Chilton, died on St. Patrick's Day this year. His death prodded me to get their first two albums, both on one CD. And OH MY GOD what was I thinking not getting them sooner? #1 Record is a brilliant, perfect power-pop masterpiece, brimming with optimism, excitement, wistfulness, puppy love, and just plain fun. Do you dig '70s Aerosmith? Alice Cooper? Badfinger? Todd Rundgren? Love? Moby Grape? The Byrds? The soundtrack to Dazed and Confused? Or even the other bands I've already mentioned? Go out and get this album NOW. Just like with the Descendents' Somery, I can't narrow down which song is the ultimate pinnacle on #1 Record. But let me see if I can capture the high points. 1) "Feel" - Subtle strumming and an eerie, plangent twang suddenly explode into fireworks of scream-singing and wild drumming that don't let up for the entire song. These guys are going for broke. One hellaciously beautiful way to start off an album. 2) "The Ballad of El Goodo" - Crappy song title. Beautiful, defiant Statement Of Purpose. Required listening for really earnest and idealistic kids who are determined to live life on their own terms, goddamnit. 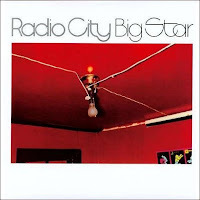 3) "In The Street" - Big Star's only claim to fame over the past decade. That '70s Show swiped the song for the opening credits. Extra points for the hilarious line "Wish we had a joint so bad." 4) "Watch The Sunrise" - Gorgeous, gorgeous meditative 12-string showcase by Chilton. And yes, you can just imagine the sun rise as the song is playing. 5) "When My Baby's Beside Me" - Kinda lame beginning, but man, I defy you not to clap along to the chorus. Addictive. 6) "ST 100/6" - Indecipherable song title. Not even a minute long. Slightly psychedelic harmonies over some simple guitar chords. Complete in its incompleteness, perfect in its imperfection. So why didn't these guys get a break? Apparently, Ardent Records (or maybe it was Stax...the details are kinda sketchy), the company in charge of printing and distribution really, really fell down on the job. People heard them and wanted to get their hands on #1 Record...it just wasn't available anywhere. Another, much lesser reason was that people in the early '70s were just done with the Beatles and the Byrds and all those other poppy, fun bands that were so last decade. I don't buy that excuse. Music like this is just too awesome and timeless to pass up.